Like a cheetah, they move faster and in short bursts than anyone else on the field, lining up quickly after the last play has ended. Fleet of foot, much like the Road Runner in those “Looney Tunes” cartoons, they leave the opponent gasped and often in the wrong place at the wrong time, moving up and down the field at will. And then, suddenly, after three quarters of football has ended, like Cinderella at the stroke of midnight, they transform, not into a pumpkin, but into a little old lady (or old man so that I’m not being gender-biased) driving 25 miles per hour in the left lane of the highway with frustrated motorists honking their horns and shouting obscenities at them. Is this one of those Snickers commercials where someone is acting different when they’re hungry? 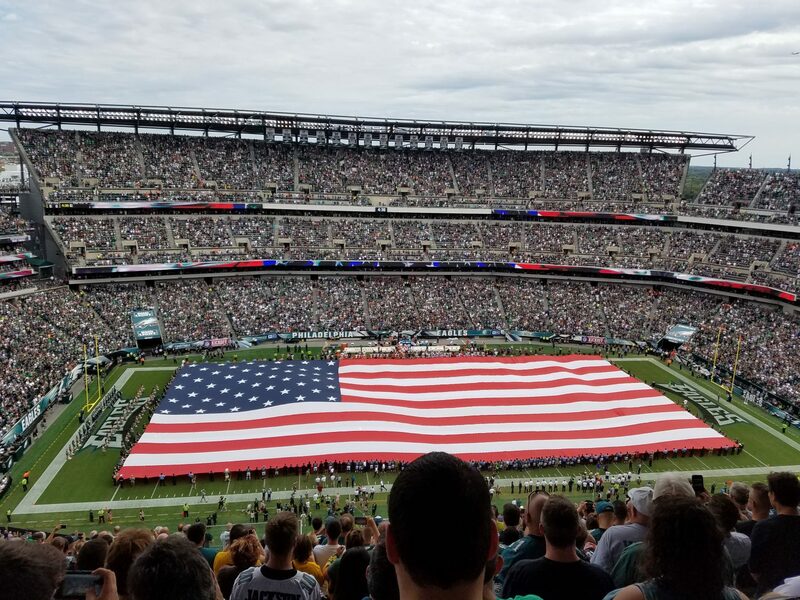 No, this is your Philadelphia Eagles during their recent 4-game winning streak, which they will try to extend this Sunday when the Detroit Lions visit the Linc. While the Birds have given life to their season and hope to their fans, going from a 3-5 start to a current 7-5 record, the team has been unable to score a single point in the 4th quarter during their last four games, which makes it even more remarkable that they were all victories. Against the Raiders, the Eagles held a huge lead and had no reason to score any points and run up the score. Against the Packers, they controlled the ball and ran out the clock to conserve a 27-13 victory. But the last two weeks, against both the Redskins and the Cardinals, the Eagles have managed to let what was a comfortable lead slip away into a one score affair, before holding on and winning thanks to their defense, which bends constantly in yardage but doesn’t break and allow points. But while the winning ways have continued as of late, the Eagles inability to put the opponent away in the 4th quarter is a disturbing trend which could come back to haunt them as they enter, ironically, the 4th quarter of their season. What is the answer, short of giving coach Chip Kelly a snickers bar at the start of the quarter? For starters, I don’t think the Birds slowing down the game and letting the play clock run down is throwing off their rhythm. The opposing defense still can’t change personnel due to the fact that the Eagles never huddle so there still remains a possible mismatch in formation. The difference is that teams are now lining up to stop the run in those situations, leading to LeSean McCoy carries on 1st & 2nd down that generate little or no yards. On 3rd down, with the Eagles in a sure passing down, they either play conservative and run the ball or are forced to try to get too many yards through the air on one play. Perhaps the Eagles need to take a risk and throw the ball downfield on 1st & 2nd down to keep the defense honest while still allowing the play clock to bleed down to 5-10 seconds as they have been doing? If the Birds throw an incomplete pass on 1st down, that would stop the clock to their disadvantage, but they could then start the next play right away, leaving the defense unprepared for what could be a big gain on 2nd down. While no one will be anointing me as the offensive coordinator based on my advice above, I had to put in my two cents yo! While the Birds had it tough last week facing Arizona’s Larry Fitzgerald, this week, they will face even a tougher receiving threat in the form of Lions receiver Calvin Johnson, who’s 6 ‘5 height and frame will give defensive coordinator Billy Davis some sleepless nights heading into the game. If this game was played on a sun-splashed Sept. day, the Detroit offense may give the Eagles defense some fits, but the possible wintry mix in the forecast for Sunday will help to disable the Lions somewhat, who are used to playing in the friendly confines of Ford Field. Of course, that same wintry mix may disable the Eagles passing game as well, forcing LeSean McCoy to run the ball more against a Lions defense that is prone to stopping the run. The Birds would do well to protect Nick Foles as well, as Lions defensive tackles Ndamukong Suh and Nick Fairley could make things difficult for the 2nd year passer, who has 19 touchdowns and no interceptions, and is two touchdown passes away from breaking Peyton Manning’s record (set last season) of 20 TD’s and no INT’s to start the season. The Birds win this week 27-20, if only for the fact that the Lions always struggle playing in Philadelphia. Of course, we made that same statement about the Tampa Bay Buccaneers once, and it didn’t seem to play out in the NFC Championship…. Colts at Bengals 1:00 PM CBS – A battle of two teams both leading their respective divisions. Seahawks at Niners 4:25 PM FOX – The Seahawks have their sights on home field advantage throughout the playoffs. An Eagles win coupled with a Niners loss and the Birds would be holding the final wildcard spot for the time being. Panthers at Saints 8:30 PM NBC – The winner of this game would lead the NFC South and hold the #2 seed in the NFC playoff picture.